RISD's Graduate Commons Speaker Series continues this spring with The Gradual Contemporary: Conversations on Contemporary Art. 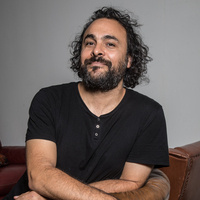 Please join us for Kader Attia's lecture, On Repair. For many years, Attia has been exploring the perspective that societies have on their history, especially as regards experiences of deprivation and suppression, violence and loss, and how this affects the evolving of nations and individuals — each of them being connected to collective memory. Attia grew up in Paris and in Algeria before studying at the École Supérieure des Arts Appliqués Duperré and the École Nationale Supérieure des Arts Décoratifs in Paris, and at Escola Massana, Centre d'Art i Disseny in Barcelona. He also spent several years in Congo and in South America, and these experiences fostered his intercultural and interdisciplinary approach. Free and open to the public. Event will be livestreamed.